...and many thanks to our outgoing officers. 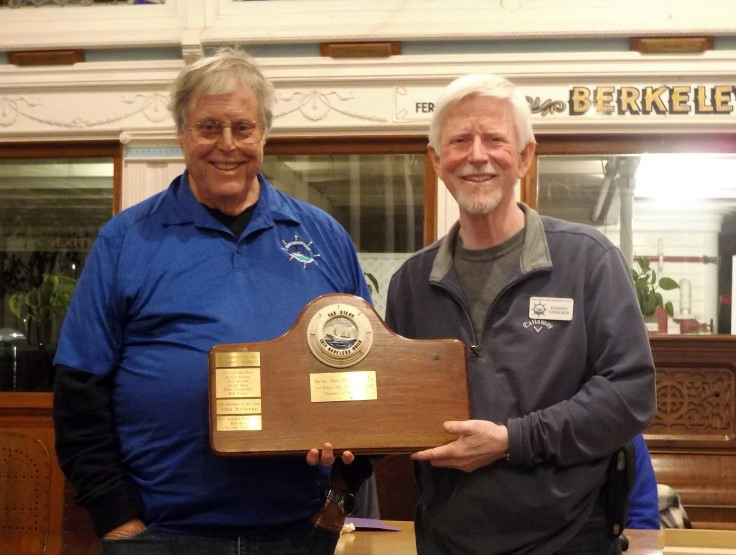 Congratulations to Jon Sanford (l), recipient of the 2018 Cdr John C Mathews Award! Get your info sheet for model entry! Members are needed to volunteer! and collectively share techniques as part of the Community Build. docked at the Embarcadero on San Diego Bay. The San Diego Ship Modelers Guild is affiliated with and supports the Maritime Museum of San Diego.